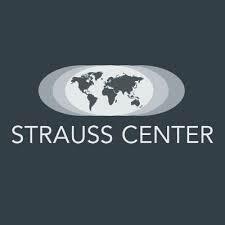 Research, Writing, and Professional Mentorship: First, each graduate student selected to be a Fellow will be linked to one of the Strauss Center’s many current research programs (based on the preferences expressed by the student in his or her application). More specifically, each Fellow will be paired with a Distinguished Scholar associated with that particular program (preferably a faculty member from a department other than the Fellow’s home department). Under that scholar’s guidance, and backed by the financial support detailed below, the Fellow will conduct their own research and writing project. The Strauss Center scholar also will serve as a professional mentor, advising on career matters. Fellowship Speakers and the Brumley Colloquia: A unique feature of this program is that we ask each Fellow to identify an ideal speaker for us to invite to give a talk at UT. The Fellow is then included in a small private dinner with the speaker, and handles the introduction of the speaker during that person’s public talk on campus. Notably, each of these “Fellowship Speakers” also attends the Brumley colloquium, which is an off-the-record gathering of the fellows during which the guest speaker will discuss both career and substantive matters. Resources: Fellows receive a fellowship stipend in the amount of $2,500. Fellows will also be eligible to apply for funding to support travel for conferences, research, and other scholarly or professional activities. Participation in Other Aspects of Strauss Center Life: Fellows are expected to maintain a deep level of engagement with the Strauss Center, and can expect to be invited to participate in other small-group meetings with the many policymakers and scholars the Strauss Center brings to campus for its other programs. Please visit the Strauss Center’s NextGen program website for application information. The application deadline for both the Brumley Next Generation Fellows and Scholars programs is March 29, 2019.